MAC just got us really excited for summer | HELLO! MAC Cosmetics has got us all seriously excited for summer with their latest inspired make-up range. From their bright and bold Troll doll range to the subtle bronzes of their Tribe Vibe collection, we always look forward to what innovative collection the chic make-up brand will be releasing next, and their latest collection, named 'Soft Serve', might just be our favourite yet. Incorporating the best thing about summer (ice cream!) 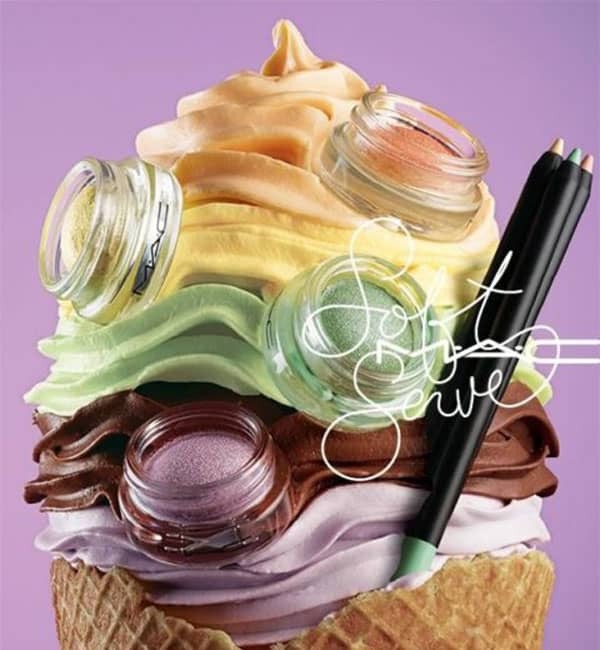 into their latest beauty range, MAC's 'Soft Serve' collection is a mixture of sweet pastels including lavender and mint, for those who like to keep their make-up look subtle, and bold, bright colours for those who want a brighter look. You can mix and match these looks while changing up your beauty style during those exciting sunny months of summer. The collection, which will be available at all MAC cosmetic counters from June, will include 12 long wear finish cream eyeshadows at £16 in a range of colours, along with six bright eyebrow pencils at £14 and a limited edition eyebrow brush especially to apply your brand new summery look at £21. Beauty fans have been passionate about creating unique summer looks before festival season begins, with the latest craze being the rainbow highlighter, Prism. The highlighter quickly sold out after Reddit users kicked off an internet hunt to find the unusual range. The creator of the highlighter revealed they had to make more sets after the wave of interest, writing on Instagram: "It has been a roller coaster ride for the past 2 days and it feels like I will never get off… I am beyond grateful and super excited! Thank you so much for all the love you have been giving PRISM! With all of my new gained followers, our store has been completely cleaned out. Seriously, not one color remains! We are going to work on a major restock of all of our colors after we do a second release of PRISM!"